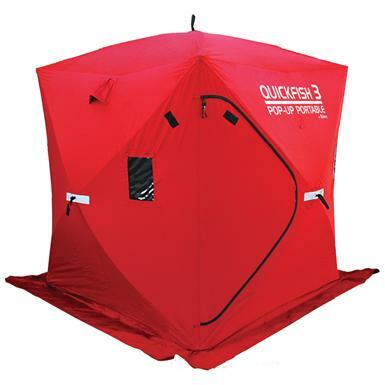 Eskimo® QuickFish 3 Ice Fishing Shelter is one in a series of the most compact, portable pop-up Shelters on the market! Piecing together old-style shelters or shelling out megabucks for stationary icehouses just isn't economical. 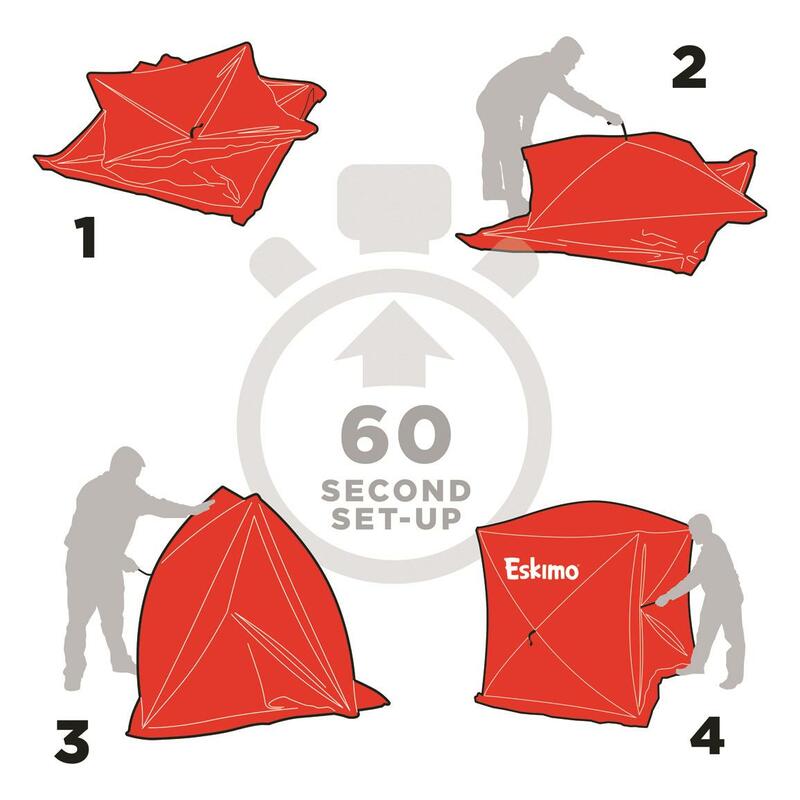 Stop wasting time and money... the QuickFish Series of Ice Shelters from Eskimo is exactly what you've been looking for. 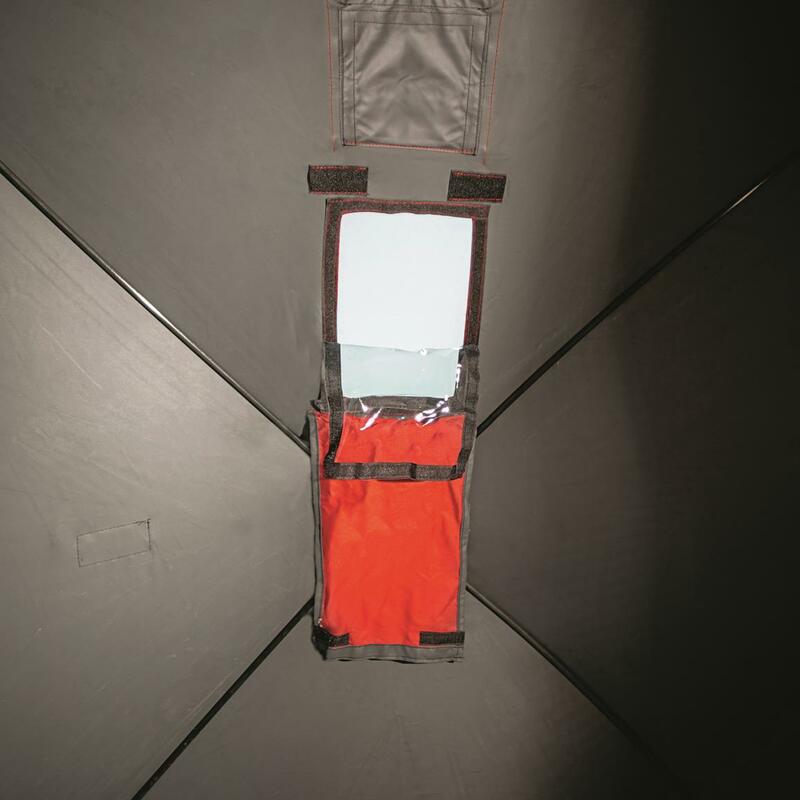 It's up in seconds, and has room to comfortably fit three anglers. Made with R.E.D. 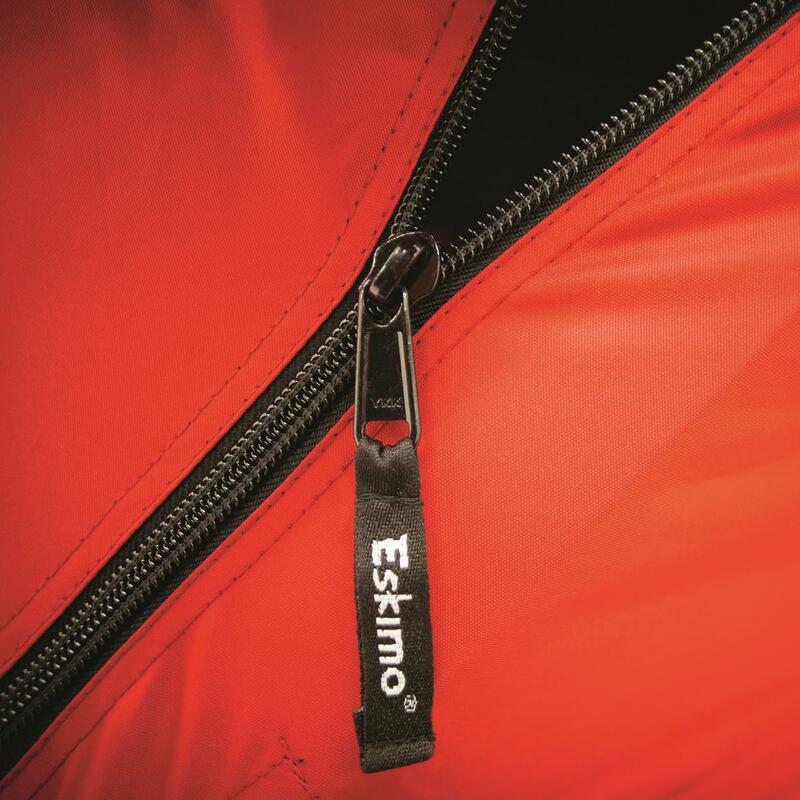 (Rugged, Extreme, Durable) fabric too... withstands abuse while protecting you from blustery winds, snow, and more! You'll love the Cold Air Barrier as well. It's a ceiling panel in the roof that retains heat and keeps out chilly air, all while reducing condensation! 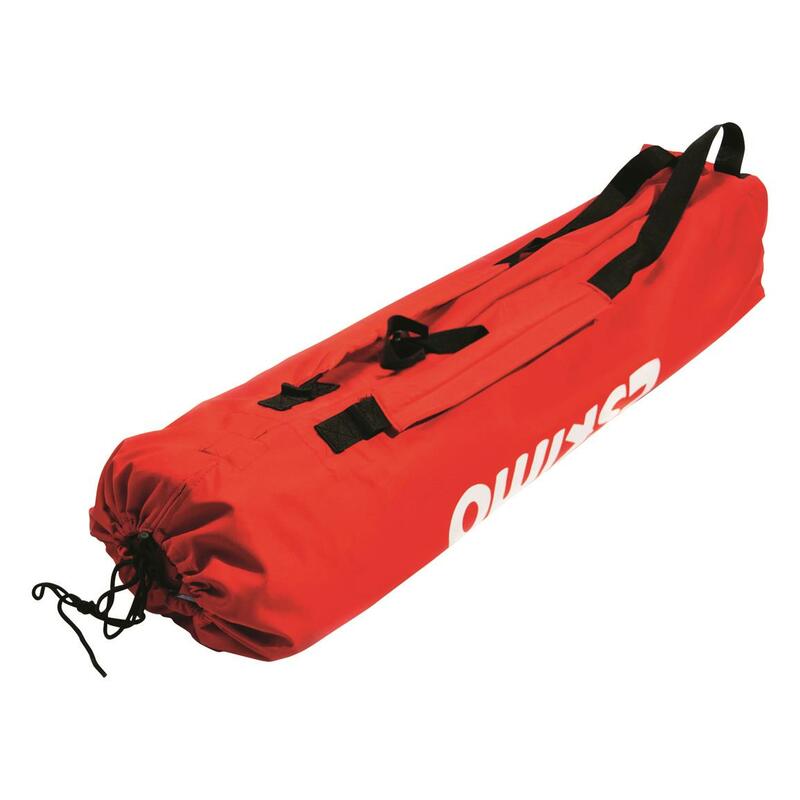 Fits into the included backpack carry bag too, for easy mobility if the fish aren't biting in your current location. Measures 70" x 70" x 80" set up weighs 23 lbs.